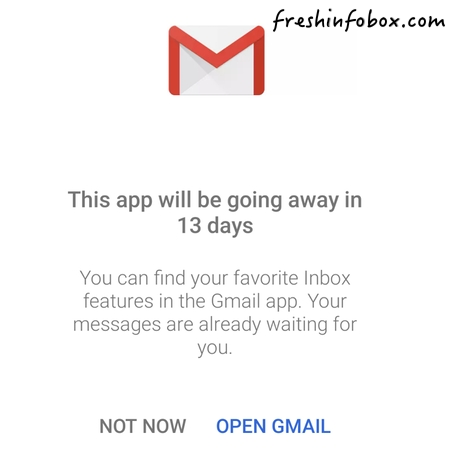 Inbox by Google sutting down on April 2. Inbox by Gmail will be shutting down the same day as Google+, the company’s failed social platform. Along with the in-app notice, Google is offering a shortcut that opens the Gmail app for Inbox by Gmail users. Depending on when the in-app notice was seen, Google listed 15, 14, or 13 days to the shutdown - but all these point to the same date - April 2.